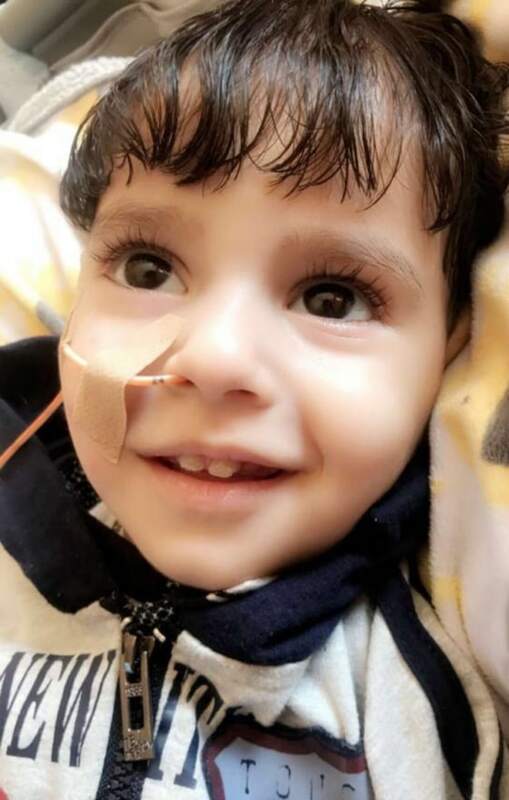 A Yemeni woman has been granted permission by the U.S. to enter the country to see her 2-year-old son who is dying in a California hospital, her backers said Tuesday. Shaima Swileh — whose child suffers from a genetic brain condition — had been barred under the Trump administration’s travel ban from coming to the U.S. to visit him at UCSF Benioff Children’s Hospital in Oakland, California. The Council on American-Islamic Relations, a nonpartisan advocacy group, publicized the family’s plight this week. On Tuesday, the State Department granted Swileh a waiver, CAIR said. “Yemeni mother Shaima receives #MuslimBan visa waiver to see her dying child in a California hospital. We’re getting her here ASAP,” the group tweeted. Swileh, a Yemeni national living in Egypt after fleeing her country’s ravaging civil war, may be in California as early as Wednesday, her supporters said. Swileh’s husband, 22-year-old Ali Hassan, an American citizen with family in California, brought their son to the U.S. for treatment a few months ago, CAIR said. Doctors have told the family that Abdullah may not have much longer to live, Hassan and CAIR said. Hassan spoke to reporters Monday. The Trump administration’s travel ban, which replaced two earlier versions blocked by lower courts, bars travel to the U.S. from seven countries, five of which are predominantly Muslim: Libya, Iran, Somalia, Syria and Yemen. The other two are North Korea and Venezuela. The State Department said Tuesday it cannot comment on any individual case. But it said that visa applicants from nations under the travel ban can be granted waivers if they don’t pose a security threat and if their absence from the U.S. would cause undue hardship.